Every week, Bailonga holds both a beginner and an intermediate class that occur simultaneously in the same room. All classes are drop-in, no partner required, and the cost of the class is included in admission for the dance. Intermediate classes adjust to the skill level present, so if you’re unsure whether you should take the beginner or intermediate lesson, talk with the instructor of the week. The beginner series class is a rotating set of lesson topics assigned to each week of the month. Every week for four weeks, you’ll get a different aspect of the basics of tango. The beginner series class also adapts to skill level present, so if you’ve never taken week 1, it won’t be a problem to start with week 2. Week 1: From Zero- The very basics. 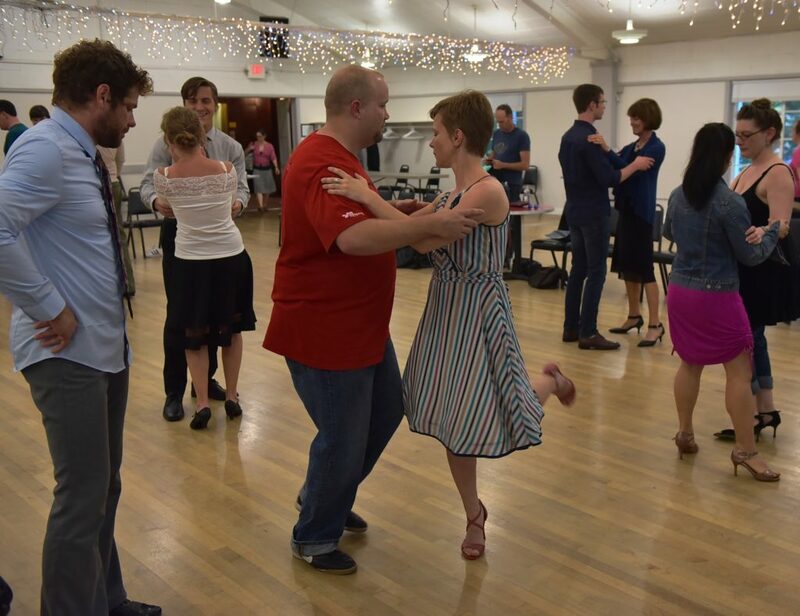 Bailonga strives to provide new dancers with their start in tango, but the technique in tango is best learned in regular focused classes. While Bailonga can’t provide this kind of consistent structure, we recommend the classes taught at Dance for a Cause, hosted by Charles and Wella Augustine, to fill that role in your learning experience. Charles and Wella are regular instructors at Bailonga, we highly recommend their classes and all their proceeds are donated to the Oregon Cancer Foundation! Price: $10/class; $4 students under 25 with valid student ID. Additional Info: Drop-in friendly. No partner necessary. Bring non-street shoes with leather or suede soles, or socks for dancing. All proceeds benefit Oregon Cancer Foundation.